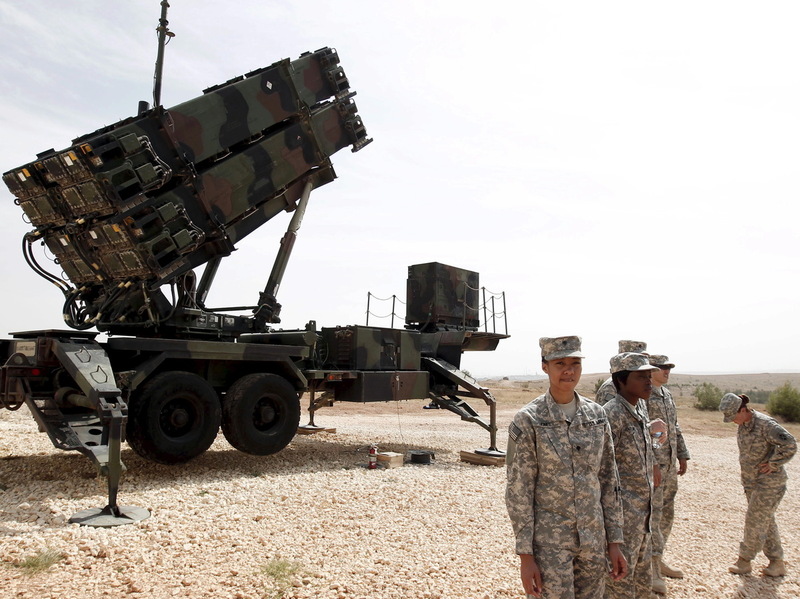 U.S. Says It Will Remove Patriot Missile Defense From Turkey In October : The Two-Way The missile defense system deployed to Turkey in 2013 will be withdrawn so the batteries can be updated and modernized, according to a joint U.S.-Turkey statement. U.S. soldiers stand beside a Patriot missile system at a Turkish military base in Gaziantep, southeastern Turkey, last October. In a joint statement, Washington and Ankara said the missiles would be withdrawn for updating and modernization. Two years after the United States deployed the Patriot missile defense system to Turkey, a NATO ally, the system will be withdrawn, the countries announced today. "The U.S. Patriots have been in Turkey as part of a broader NATO mission since 2013. They will be redeployed to the United States for critical modernization upgrades that will ensure the U.S. missile defense force remains capable of countering evolving global threats and protecting Allies and partners - including Turkey. This decision follows a U.S. review of global missile defense posture. "The United States will maintain in-theater capability to rapidly transport and support emergent Ballistic Missile Defense (BMD) requirements, and is prepared to sustain the current deployment site in a cold-basing status to facilitate future deployments of U.S. Patriots. If needed, the United States is prepared to return Patriot assets and personnel to Turkey within one week." The Associated Press notes: "The U.S. decision comes a day after Germany said it would withdraw some 250 troops stationed in Turkey when the mandate for their air-defense mission ends next year. Germany said the main threat in the region came from the Islamic State group which doesn't possess missiles."